Mayor Bill de Blasio met with federal prosecutors on Friday, the latest step in the ongoing investigations into the mayor and his associates. In the face of multiple probes, the mayor maintains that he and his government and campaign teams acted appropriately; that no government action was promised or given for donations; and that everything done was within the bounds of local, state, and federal laws. We’ll soon see if that’s true. But, de Blasio’s decision to talk with investigators and prosecutors -- both federal agents on Friday and, previously, representatives of the Manhattan District Attorney’s office looking a separate matter -- comes with risk and potential reward for the mayor, who expressed confidence that his cooperation will help lead to the exoneration of all involved. Leading up to Friday’s interview, the mayor’s office declared that de Blasio himself was not the subject of the investigation into whether government favors were promised or provided to donors to the mayor’s 2013 campaign or The Campaign for One New York, his now-defunct nonprofit that took in hundreds of thousands of dollars from entities with city business. But, it is precisely this kind of interview that could lead to de Blasio becoming a target of the investigation. “Prosecutors typically talk to everyone else - aides, donors, consultants - before they talk to the main target,” said Jeff Smith, a former Missouri state senator who went to prison after pleading guilty to obstruction of justice charges (Smith’s case stemmed from an unattributed 2004 congressional campaign flier and the fallout as it was traced back to him). 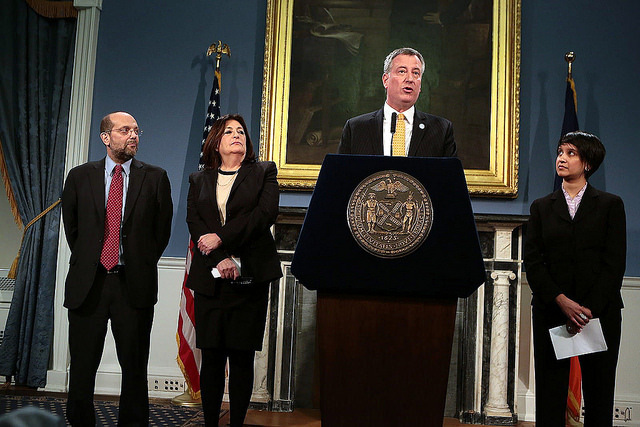 “It’s very difficult to know at this point if he was smart to talk,” Smith said of de Blasio. “Every case is different.” Smith added that not cooperating would likely irritate prosecutors, but that cooperating clearly has its risks. “My best guess is that they were searching for inconsistencies between his responses and those of anyone they’ve flipped -- the two big donors we know of, plus, potentially, other donors, campaign staff and consultants, or mayoral aides we don’t know of,” Smith said. When Smith went to prison he had been secretly taped for months by his best friend, who had cut a deal with federal agents. It is not completely clear who the targets of the investigations are, but it appears that they are top government aides to de Blasio, as well as his chief campaign fundraiser and possibly others involved in de Blasio’s political work, such as The Campaign for One New York and his 2014 effort to help Democrats take control of the state Senate by influencing several swing district races. The New York Times recently reported that federal prosecutors had more than a dozen topics to broach with de Blasio, presumably instances where donors received beneficial action from city government and there is some evidence of communication with the appearance of special treatment. For well more than a year, news outlets have been reporting on examples of donors receiving favorable treatment. De Blasio has insisted that he and those in his administration "make decisions based on the merits." The outcomes of these investigations -- namely probes by the Manhattan DA and the U.S. Attorney for the Southern District of New York -- will have an immense impact on Bill de Blasio’s future, his career and his life in general. 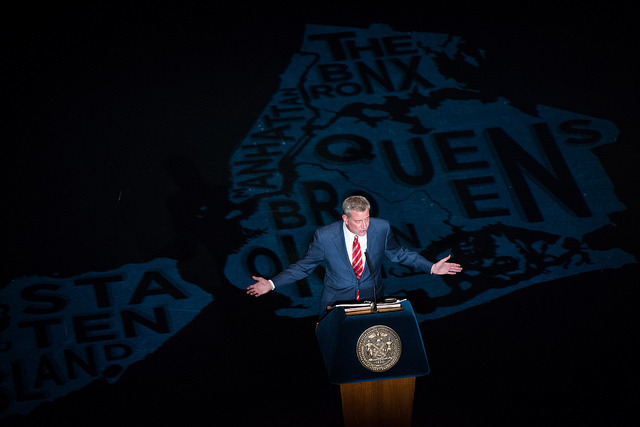 The results will significantly influence whether de Blasio wins a second term as Mayor this year, and whether he has any legitimate political aspirations thereafter -- running for U.S. Senate, Governor, or President, for example. As Smith knows firsthand, de Blasio’s political career is hanging in the balance of the investigations. Smith, who earned a Ph.D. in political science before being elected, became a public policy professor at The New School after serving a year in prison, and wrote a critically-acclaimed book about his prison experience and the criminal justice system. He now helps lead a Missouri non-profit organization that supports people leaving prison. There are a variety of possible outcomes, of course, and the investigations are living, breathing things, which can take many turns. Investigators may even close a case but can always reopen it given new evidence - as occurred in Smith’s case, when a key figure involved attempted to car-bomb his ex-wife’s divorce lawyer, leading to a raid that produced tapes of the man talking to Smith’s then-best friend. De Blasio and many others with a stake in these investigations (including potential mayoral candidates eyeing indictments), are hoping for imminent closure, so that the city can be governed with less distraction and the 2017 mayoral race can be contested with more certainty. Still, if there are charges against de Blasio or people close to him, legal proceedings could stretch throughout 2017 and beyond. If the results of the investigations are unfavorable to de Blasio -- indictments of top aides, for example -- they could mark a major turn of events in the history of New York City. Or, the investigations could close with a whimper, in which case de Blasio would likely cruise to reelection this year and continue to build his progressive resume. There is a good chance, though, that in one form or another the legal process extends for months more, leaving the cloud hanging over de Blasio, city politics and government.